Each year, the National Wrestling Hall of Fame and Museum trumpets the legends of outstanding athletes, coaches and contributors as part of the permanent history of the sport of Wrestling through the induction of our awards. Nominations come from a diverse cross-section of the wrestling community, including the public. 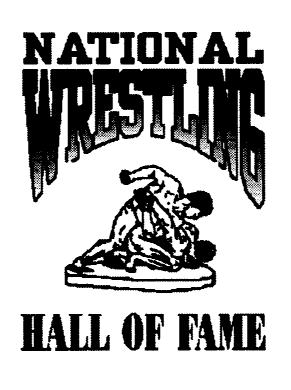 The forms included on this page are needed for an individual to be considered for induction into the National Wrestling Hall of Fame. The nomination forms are in Adobe Acrobat format. Complete instructions are in the nomination forms, and they should be printed on a high quality printer. A letter over your signature telling why the nominee is a valid candidate for election. A detailed resume of the candidate’s personal history and qualifications. A minimum of three letters of character reference and support of the nomination. Further documentation (copies of articles, tributes, et al) is welcome.